Brecknell Turner Saddle Soap is a traditional formula that is used to soften and condition leathers and saddles. This conditioning saddle soap is a soft wax formulation that leaves leather with a matt finish and a softer feel. 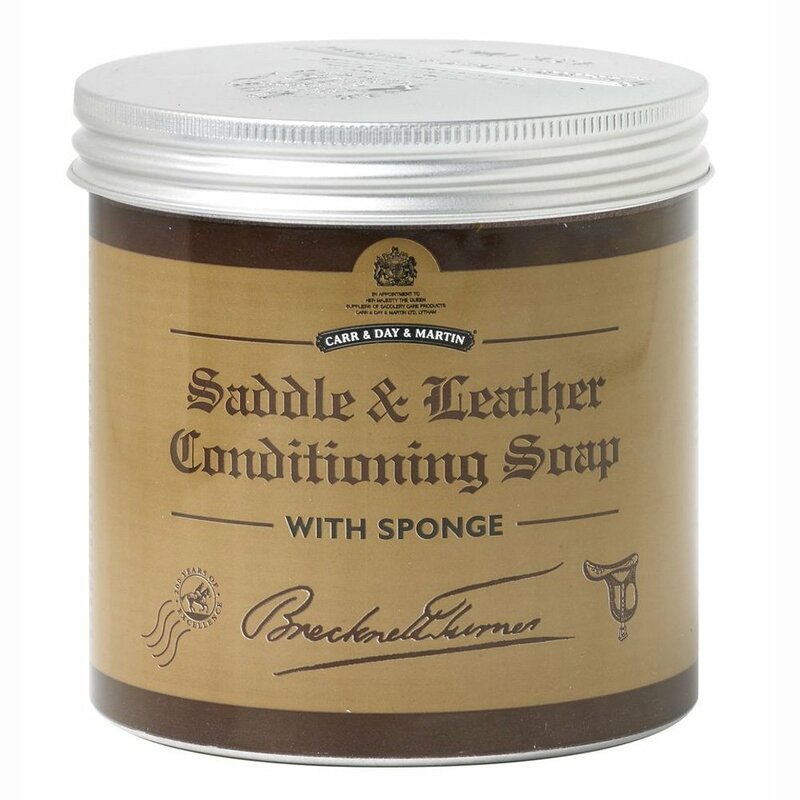 Brecknell Turner Saddle Soap is glycerine free, comes in a useful tin for easy storage and contains a free sponge to make application as easy as possible. This leather conditioner should be used on clean, dry leather and is ideal for use after Belvoir Tack Cleaner Step 1. Not suitable for use on aniline or untreated leather, suede or nubuck.